Want to know exactly what your dentist is referring to when he diagnoses your necessary treatment, but you’re too ashamed to ask? Take a look at the below infographic as it details all tooth numbers and common terminology in dentistry. 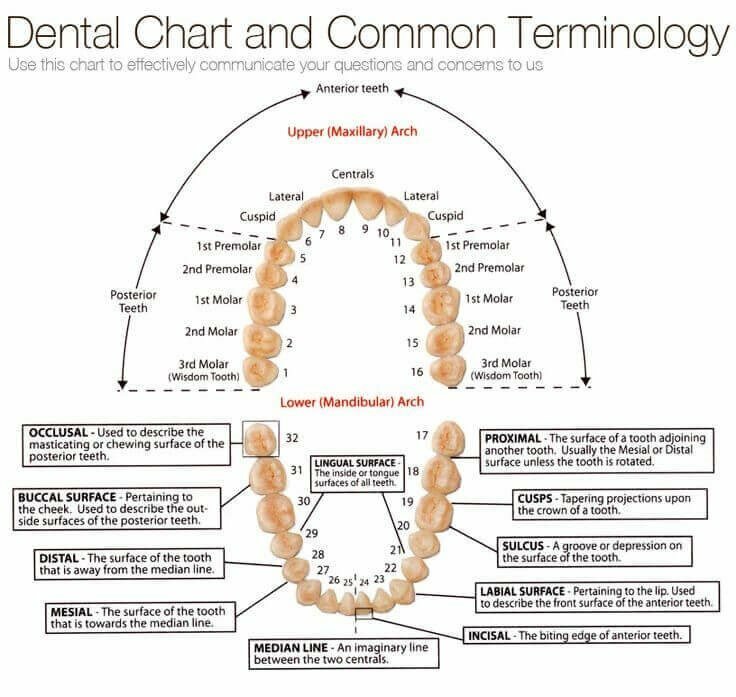 Use this chart to effectively communicate your concerns to your dentist. This entry was posted in Tribeca Smiles Dental Blog and tagged chart for dentist, chart of tooth numbers and dental terms, chart to understand dentistry, chart tooth numbers, cosmetic dentist nyc, cosmetic dentist soho, cosmetic dentist tribeca, dental term chart, Dental Terminology 101 [Infographic], dental terms, dental words, dental words and phrases, dentist nyc, dentist soho, dentist tribeca, tooth numbers on October 20, 2014 by tribecasmiles.